Silly at times and wildly melodramatic, "Safe" trims so much fat it's comically quick and better for it. The first word uttered by Michael C. Hall in “Safe” — the Netflix murder-mystery that has so much more going on than that identifier implies — is “sorry.” He’s apologizing to his daughter for grabbing her hand at a funeral, so he says it quietly. Her response is louder and clearer: “Yeah, right.” Clearly, there’s friction there, but there’s something else going on, too. Is that… an accent? It is, but it will take one year to confirm as much. 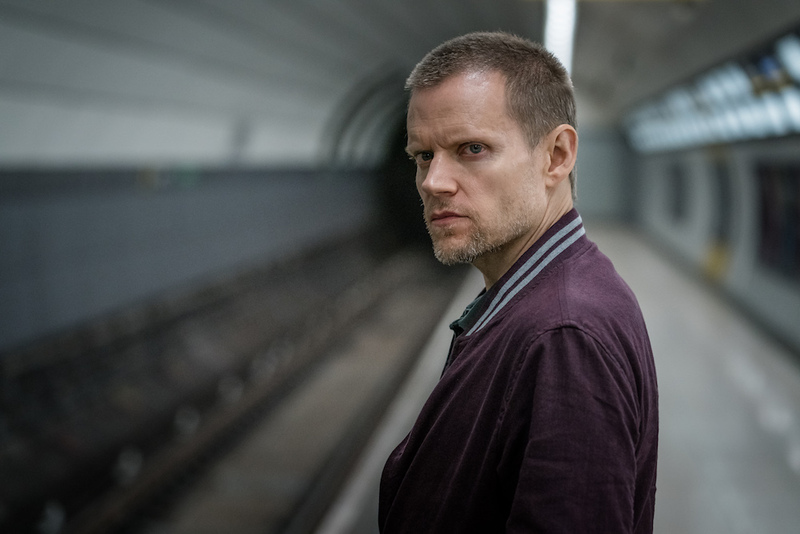 Luckily, unlike other bloated Netflix originals, “Safe” moves through a year in less time than a title sequence, so with the click of a “skip intro” button, you’re immersed in the full British intonation of the former “Six Feet Under” star. Much like the series’ overall rapidity, it’s jarring at first. Hearing Dexter say “community barbecue” like “comm-un-it-y buh-bah-coo” could send you into a giggle fit if you’re not keeping time with the story. Luckily, “Safe” leans into most of its increasingly preposterous moments, including Hall’s accent. It’s not that the show or its star’s elocution are bad, per se; they just don’t overwork themselves trying to convince you of their grand importance. “Safe” is a soap, and it’s a fun diversion as such. Meet Tom. 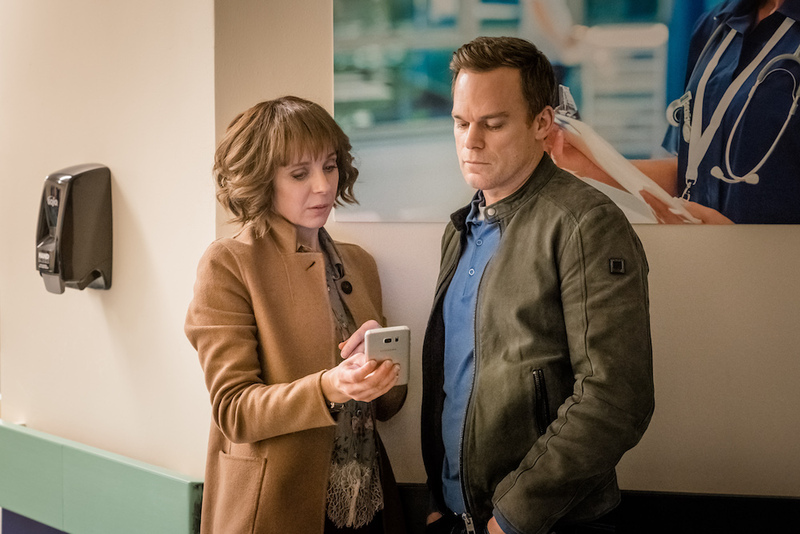 A recent widower, surgeon, and father of two daughters, Tom (Hall) is trying to move on from his wife’s death when his eldest child Jenny (Amy James-Kelly) disappears. She goes to a party with her boyfriend, and neither return home. This sends Tom into a panic; the last thing his wife asked him to do was take care of their daughters — to keep them safe (get it?) — and he takes that request very, very seriously. Luckily, he’s got a few key friends to help him in his fraught pursuit of the truth. Pete (Marc Warren) is his longtime friend and co-worker who served in the army with Tom. That explains why he’s such a good investigative partner and why he’s so personally motivated to help Tom. Together, they form a classic non-detective detective duo, breaking into offices for information and working suspects with a practiced back-and-forth. Would two old doctor friends immediately morph into such natural sleuths? Nah, but that’s hardly the biggest pill to swallow (there’s a secret child reveal that will have you doing the math and one uber-macho male character is named JoJo — JoJo! ), and their quick bond makes you want to believe in them. Tom’s other friend is also more than a friend: Sophie (Amanda Abbington) is an actual cop who’s known Tom for years, but recently their relationship has gone to the next level. They’re keeping it under wraps, but once the stuff hits the fan, Tom and Sophie share a lot of information about the search for Jenny. She’s quite a resource for Tom, and a fine way to keep the story moving without losing the personal hooks. Simultaneously, the police open up an investigation into Jenny’s boyfriend’s mom, Zoe (Audrey Fleurot), the lone citizen of French descent in this French co-production between Netflix and Canal+. Based on photos and letters conveniently found in her school locker, she’s been having an affair with a student. She denies it, and the two mysteries slowly blend together. There are an array of characters in “Safe,” but they’re all rather isolated in the quaint English suburb. Some may zip around in their cars or take the train to the city, but the mystery keeps pushing them back to the small gated community from which trouble first came out. It contributes to the feeling that all the answers are right in front of you, even when there’s no way viewers could predict some of the season’s more outlandish twists. More importantly, creator and executive producer Harlan Coben consistently provides answers; each episode starts with at least one big revelation and ends with a telling cliffhanger, with more than few key points scattered in between. “People are entitled to their secrets,” is an ominously-uttered line from the first episode, and boy do these people feel entitled, otherwise they wouldn’t have so many. Even the details known throughout the community — like how Tom’s wife died — are held back from the audience for quite some time. There are secret affairs, secret identities, secret loves, secret confessions, secret gates, secret phones, secret apps, secret everything! It’s a lot, overall, and there’s not much to the series through six of the eight episodes beyond the juicy thrill of all those reveals. But that’s fine. With committed performances (some of which are clearly aware of the ludicrous story they’re in) and a brisk pace, “Safe” earns its status as a soapy pleasure and should entertain Netflix viewers craving engaging distraction. “Safe” Season 1 is now streaming on Netflix.